Derek is a theologian and historian of Christianity – and in case you were wondering, he is Associate Professor of Religion at Wabash. Click here to read a transcript of an interview with Derek and listen to audio as he discusses how he approaches the questions of religion and science, even in everyday life. A Religion major at Wabash, Derek earned a Master’s of Divinity at Yale University and a PhD at the Graduate Theological Union. 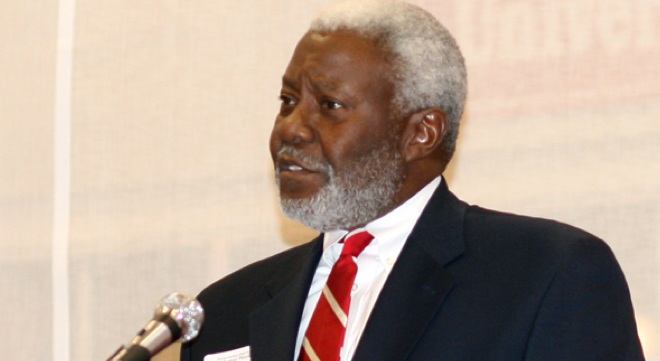 Dr. Robert Wedgeworth, Jr. PhD ’59 was a featured short bio online and on Monday’s Tom Joyner Morning Show — click here to read the transcript and listen to the audio. After Wabash, Bob’s career progressed as executive director of the American Library Association, Columbia University’s dean of School of Library Service, university librarian and professor of library administration at the University of Illinois, president of the International Federation of Library Associations and Institutions, president of Laubach Literacy International, and president and CEO of the merged organization, Proliteracy Worldwide. He earned an M.S. in Library and Information Science at the University Illinois. He left a doctoral program in library science at Rutgers University in 1972, to pursue what became his renowned career in library science, without completing his dissertation. In December 2012, Bob successfully defended that dissertation, and in May 2013 graduated with his doctorate degree. Bob is a Wabash College Trustee Emeritus. 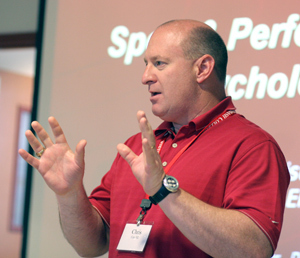 Dr. Chris Carr ’82 is the sports psychologist for Indiana Pacers basketball. This week, Chris was featured in an IndyStar article about the approach he takes in advising Pacers players through observations of body language, actions, and performance during critical points of the game. Click here to read the article. After Wabash, Chris earned a Maters’ and PhD in Psychology at Ball State University. 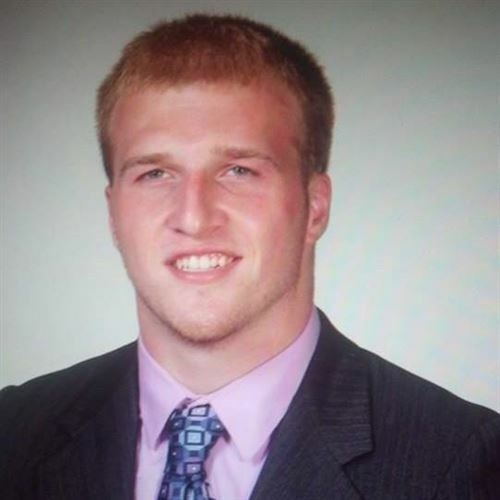 Chris was an athlete at Wabash, then coached high school football while earning a graduate degree in counseling. An Olympics training center job and internship during grad school turned into a lifetime career as a sports psychologist. In addition to the Pacers, Chris’ clients have included Indiana Fever, Purdue, Butler, and the USA gymnastics team. 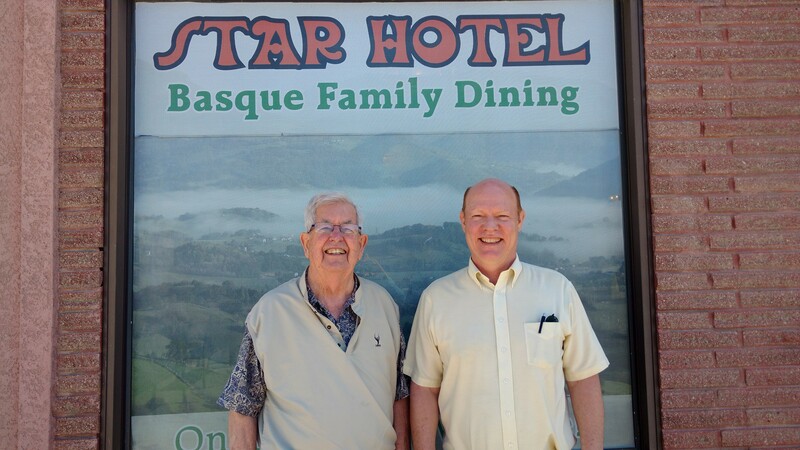 Two Wabash alumni recently met for lunch at The Star Hotel in Elko, Nevada: Dr. Hugh Collett ’43, retired physician and Distinguished Nevadan 2015, and Dr. William (Bill) Payne ’81, Dean of the College of Agriculture, Biotechnology & Natural Resources at the University of Nevada, Reno. Hugh Collett (left) and Bill Payne. 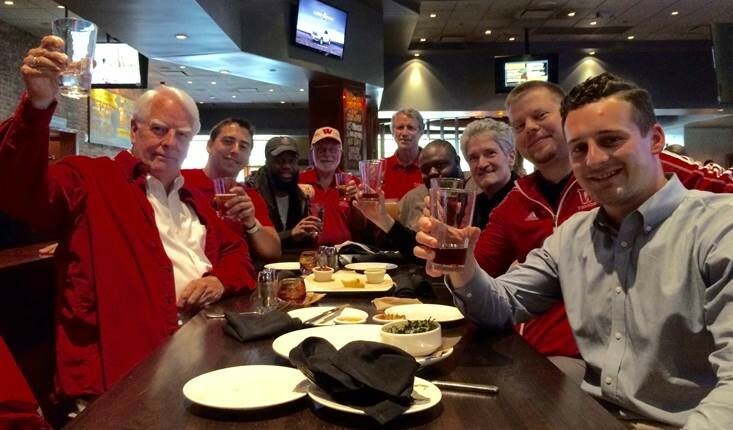 Some members of the Dallas Association of Wabash Men raise a glass in memory of fellow Wally Chris Bird ’67, who passed away recently. Here’s to Chris Bird, Class of 1967 — Some Little Giant! Jay Patterson, ’65, Stu Johnson ’04, Ken Taylor ’11, Bob Ouellette ’62, Dan Susie ’68, Brandon McKinney ’09, Jim McDaniel ’74, Adam Van Zee ’07, Grant Klembara ’15. 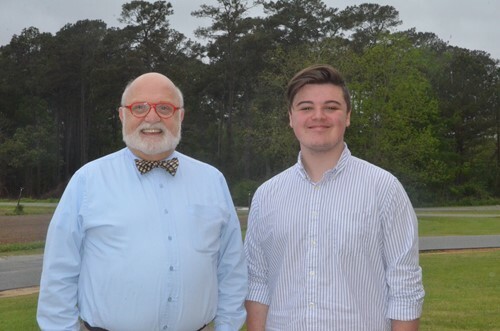 Cary Riggs ’78 was recently honored by one of his students at Thomas County Central High School in Thomasville, Georgia: Senior Austin Yeomans has been selected as the 2016 TCCHS STAR Student. Austin, in turn, has chosen Cary Riggs as his STAR teacher. Click here for the news release. This is Cary’s second time and second consecutive year being named TCCHS STAR Teacher. He has taught Latin I, Latin II, Latin III, AP Art History, AP Latin, Drama I, II, III, IV and Advanced Drama. He plans to retire at the end of this school year to focus on writing fiction. Austin Yeomans will enter Wabash next fall as a Freshman! Tyler Andrews ’15 completed the marketing training program with the Simon Property Group, and served as the interim director of marketing and business development at the Walt Whitman Shops in Long Island, NY. Tyler was recently named Director of Marketing and Business Development for Simon’s University Park Mall in South Bend/Mishawaka, Indiana area, where he will be in charge of the creation, development and implementation of an overall strategic marketing plan for the mall, including retailer marketing, local marketing, media sales, and gift cards. 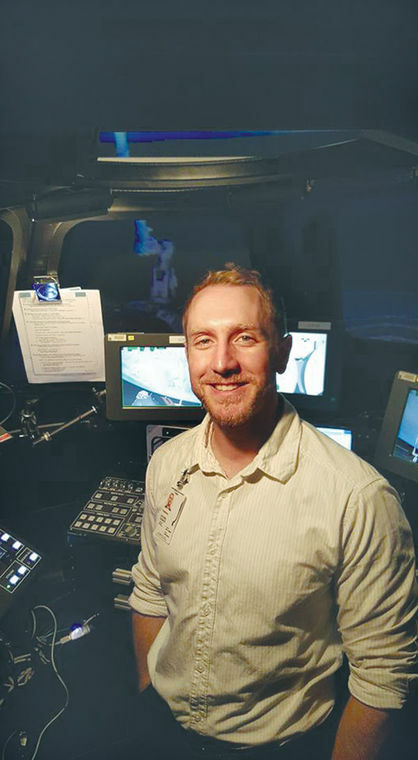 Steven Zusack is shown with a training simulator at the NASA Johnson Space Station in Houston, where he is currently an intern. Steven Zusack ’06 is leading a college research group which has developed a method for mining ice from the south pole of the moon, as part of a NSASA engineering internship. Click here to read a news release. 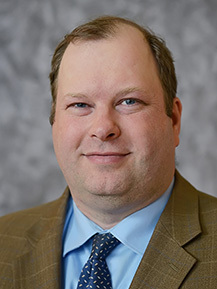 After earning a Psychology degree at Wabash, Steven worked in the world of business, until his lifelong interest in outer space prompted him to earn second bachelor’s degree in mechanical engineering from IUPUI. Steven participated in several engineering internships, including his current position as a Structural Engineer Intern for NASA, which will conclude in May. Next Fall, he will begin working on a master’s degree in aeronautics and astronautics at Purdue University. 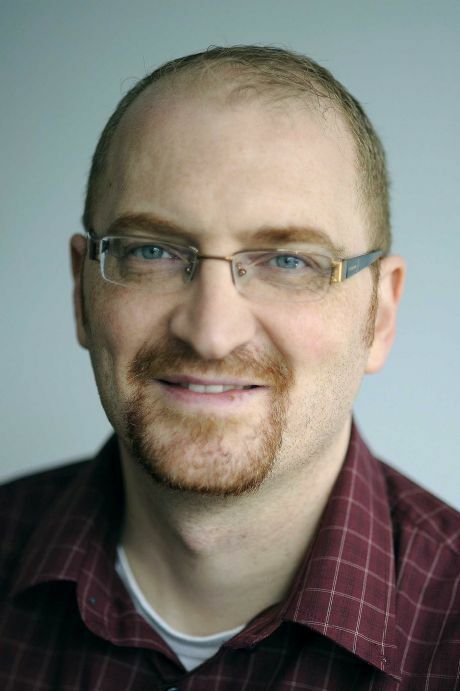 Peter Prengaman ’98, a cross-format journalist and news manager who has reported from more than a dozen countries for The Associated Press, has been named news director for Brazil. He is currently the AP’s Southern Cone news Editor. Click here to read the news release. Peter was a Spanish and English literature major at Wabash, and has a master’s in Latin American Studies from Stanford University. Ryan Guerrettaz ’15 recently received a scholarship award at the IU School of Medicine Scholarship and Awards Banquet held at Evansville Country Club. Ryan, from Evansville, is a first year medical student at Indiana University School of Medicine. As a Wabash student, he worked as a medical scribe at the Montgomery County Free Clinic and worked as a summer research intern as a biochemist at IUPUI.